2016-10-09 ~ National Association of Postal Employees, Tirunelveli Division. As already decided by the PJCA, the two days strike demanding bonus-parity to GDS and payment of revised wages to casual labourers will take place on 9th& 10th November 2016. There is no positive outcome till this date. File is still pending in Finance Ministry. The PJCA has decided to serve the strike notice on 20th October 2016 to Secretary, Department of Posts, New Delhi. On that day, dharna is being organized in front of all Divisional/Regional/Circle officer by PJCA, as already decided. Copy of the strike notice should be served to all Circle/Regional/Divisional heads after conducting demonstrations. Draft copy of the strike notice is enclosed herewith. Please print notices and also issue circulars to all offices including Branch Post offices so that every employee shall get ready for the strike, if demands are not settled before 9th November 2016. Conduct intensive campaign among all employees. Please treat it as most urgent and important. In accordance with the provisions of Sub Section (1) of Section 22 of the Industrial Disputes Act, 1947, we hereby notify that all the Postal/RMS/MMS/Administrative & Postal Accounts Employees and the Gramin Dak Sewaks will go on 2 days Nationwide Strike on 09th and 10th November,2016. (1) Grant of enhanced bonus to GDS. (2) payment of revised wages of casual labourers and revised bonus . As you are aware the bonus calculation ceiling of all Central Government employees was raised from 3500 to 7000 by the Government from 01.04.2014 onwards and orders were issued on 29.08.2016. Arrears for the financial year 2014-15 were also paid to the all departmental employees. But till this day, orders for payment of enhanced bonus to three lakhs Gramin Dak Sevaks are not issued by the Department of Posts. Similarly, eventhough the Postal Board has issued orders revising the wages of casual labourers w.e.f 01.01.2006 as per the 6th CPC minimum wage of Group ‘D’, till this day many circles and divisions have not paid the arrears to the poor, unorganized, marginalized and most exploited section of casual, part-time, contingent employees and Daily rated mazdoors. eg: Kerala Circle, Tamilnadu Circle etc.). 7th CPC revision has also become due now. It is therefore, requested to permit us to sit inside the premises of Dak Bhawan for Indefinite Hunger Fast from 03rd November, 2016. The Hunger Fast will be peaceful. Allowances Committee will submit its report soon. The committee on allowances, which is looking into allowances, which was recommended by 7th Pay Commission, will soon submit its report, Union finance secretary Ashok Lavasa said during an interview. The government constituted the committee in June, comprising finance secretary as Chairman and secretaries of Home Affairs, Defence, Health and Family Welfare, Personnel and Training, Posts and Chairman, Railway Board as Members to examine the 7th Pay Commission recommendations on allowances, other than dearness allowance. The committee has been asked to submit its report within four months but it’s ready to submit its report even two months in advance. Once the report is submitted, Finance Minister Arun Jaitley will take a call on hike in allowances, the sources in finance ministry said. Last year, the pay commission headed by Justice A K Mathur had recommended abolition of 51 allowances and subsuming 37 others after examining 196 allowances. The representatives of the employees unions had earlier conveyed to the government that they did not want it to approve the 7th Pay Commission recommendations on allowances without examining them further. So, the Union Cabinet directed to set up committee on allowances. The matters relating to pay and pension as decided by the government have been implemented with effect from January 1 this year. The government has also paid its employees arrears of basic pay arising from implementation of the 7th Pay Commission recommendations in one go in August salaries without higher allowances. “Till a final decision of allowances, all existing Allowances will continue to be paid at the existing rate,” an earlier official statement issued by the finance ministry said. The sources said that the quantum of allowances may not vary from those proposed by the 7th Pay Commission. “The committee on allowances is likely to stick with the 7th Pay Commission’s recommendations on allowances,” the sources added. Last year, the finance ministry set up an ‘Implementation Cell’ to give effect to the recommendations of the 7th Pay Commission which are eventually accepted by the government. “So far as the implementation of the 7th Pay Commission report is concerned, an implementation cell was created under this ministry about a year ago and it is still continuing,” the finance secretary also said in the interview. The recommendations of the 7th Pay Commission are applicable to 48 lakh central government employees and 52 lakh pensioners. 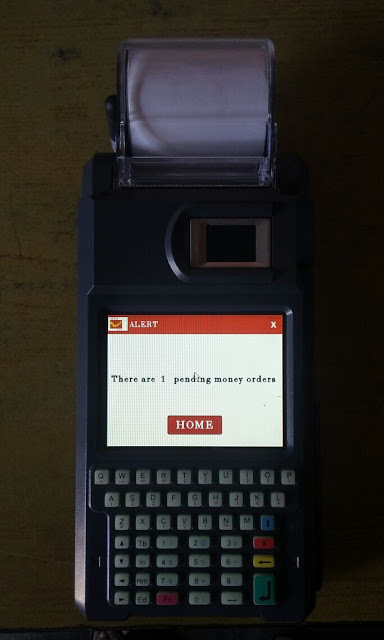 As a pilot phase Department of Post has started using solar powered, biometric hand-held devices in rural post office with connectivity along with the application software in selected circles viz. Bihar, UP and Rajasthan. This move was the outcome of Rural ICT project declared by the Government of India. Following re the important features or benefits of Hand-held device supplied to Branch Post Offices. 2. Instantaneously thereby eliminating chances of overcharging and other problems associated with manual transactions. Savings Bank deposits & withdrawals, PLI/RPLI premium deposits and loan/claim payments will also be done electronically on these devices. 3. Immediate uploading of transaction data and financial reconciliation- Using mobile connectivity, data pertaining to all transactions done on the hand-held devices shall be uploaded onto the central server. E-Money order will reach the destination post office instantaneously unlike present day where the money order is digitized at the nearest computerized Post Office and leads to delay in delivery. All financial transactions shall also be reconciled immediately without any manual intervention and Cash on Delivery amount collected in the village shall be immediately credited to the account of e-Commerce Company. Similarly the artisans would be able to fulfill e-commerce orders and receive immediate payment for their sold products online. This will have a positive impact on the overall economy of the villages. 4. Automatic track and trace- Speed Post and Registered letters/parcels and money remittances will be trackable at the Branch Post Office level and booking/delivery information will also be uploaded to central server immediately. The Gujarat High Court has issued notice to the central and state governments over a PIL challenging the validity of the market-linked New Pension Scheme (NPS), applicable to government employees who joined on or after January 1, 2004. A division bench of Chief Justice R Subhash Reddy and Justice V M Pancholi issued the notice on October 7 and posted the matter for further hearing after a month. Petitioner Pranav Desai, a retired scientist of ISRO, stated in his petition that the market-linked new pension scheme provides only annuity and gratuity in place of pension, and has no security for family members of an employee if he passes away. “Old pension scheme, on the other hand, provided for the 50 per cent of last pay, floor pension, family pension if retiree dies, medical benefits and death gratuity,” he said. Pension is not a gratuitous payment but deferred payment. Compulsory imposition of NPS violates Articles 14 and 21 of the Constitution. Government is exercising economic duress by imposing NPS as it will not help employees in his old age but may in all probability make him starve, the petitioner alleged. “Mathematical simulation shows that a bulk of employees will get annuity less that subsistence of about Rs 14,000. Also, the NPS provides for no family pension unlike OPS, in the event of the employee passing away,” he said. “There is uncertainty about pension availability to family if the employee dies. NPS is at the mercy of share market. It is annuity that one gets in place of pension,” he said. The petitioner further said in NPS, pensioners are not allowed a wide choice of fund manager and asset class. As per the new pension scheme, a beneficiary cannot withdraw money if he subscribes to an account where government makes an equal matching contribution of 10 per cent of mandatory contribution by employees, he said. When exiting at the retirement age of 60, one gets 60 per cent of money while 40 per cent has to be invested to LIC-type annuity. And if exiting before retirement age, 80 per cent has to be invested, the new pension scheme mandates, the petitioner said. The move comes after officers of Indian Revenue Service (Customs and Central Excise) and All India Association of Central Excise Gazetted Executive Officers, among others, suggested changes in Goods and Services Tax Network (GSTN), a private company tasked with creatinginformation technology infrastructure for the goods and services tax (GST), and composition of Revenue Secretary-led GST council secretariat. “Of late, it has been noticed that some associations or federations have commented adversely on the government and its policies. It may be brought to the notice of all associations or federations that if anyone indulges in criticism of the government and its policies, appropriate action (including disciplinary action) shall be taken,” an order issued recently by finance ministry said. “No government servant shall, in any radio broadcast, telecast through any electronic media or in any document published in his own name or anonymously, pseudonymously or in the name of any other person or in any communication to the press or in any public utterance, make any statement of fact or opinion which has the effect of an adverse criticism of any current or recent policy or action of the central government or state government,” the service rules say. All recognised service associations or federations are entitled for certain benefits such as correspondence and meetings with the head of administrative departments, provision of accommodation for the association subject to availability, facility of special casual leave up to 20 days in a year to office-bearers of associations and payment of Travelling Allowance and Dearness Allowance for attending officially sponsored meetings. “In the case of service associations or federations which are not recognised or whose recognition has expired, office-bearers of such associations or federations shall not be entitled for these benefits,” the finance ministry said. Besides service associations, Bharatiya Janata Party Member of Parliament Subramanian Swamy has also been opposing majority stake for private entities in GSTN and has already written to Prime Minister Narendra Modi objecting to this. The central government holds 24.5 per cent stake in GSTN, while state governments together hold another 24.5 per cent. The remaining 51 per cent equity is with non-government financial institutions, like HDFC Bank, ICICI Bank and LIC Housing Finance. “Management of GSTN be entrusted to Directorate General, Systems of Central Board of Excise and Customs, as GSTN is a newly created special purpose vehicle, which does not have any experience in implementing any IT project or domain knowledge in Indirect Tax laws,” the IRS association had said in a statement. The Cabinet Committee on Economic Affairs, chaired by the Prime Minister, had recently approved ‘Project Saksham’, a new indirect tax network (systems integration) of the Central Board of Excise and Customs (CBEC). 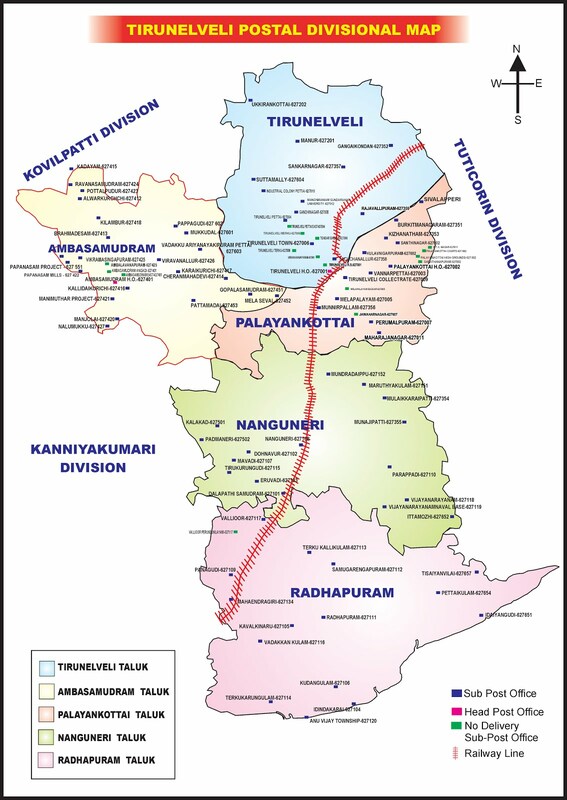 The total project cost involved is Rs 2,256 crore, which will be incurred over a period of seven years. The Postal Department has bucked up to overcome its big annual revenue deficit of Rs 6000 by hiking prices of postcards, stamps etc. The decision comes after Minister of Communications Manoj Sinha held a meeting to discuss the strategies to bring in the additional Rs 1000 cr revenue every year. During the meeting when Sinha was apprised with the fact that the pricing comes from Finance Ministry, the Communications Minister directed a committee of ministers to be formed to decide on the hike and the new prices. According to media news, the new prices of the 25 paise and 50 paise postcards will be 2 rupees, and the price of the Rs 6- printed postcard to Rs 9 per printed postcard. Similarly, the price of an inland letter of Rs 2.50 denomination has been proposed to be increased to Rs 9. The price of India Post’s parcels have also been surged up from Rs 19 per 500 gms to Rs 30 now. However with the new rates in execution, the Minister did not forgot to remind the officials about focusing on the time of delivery of the parcels. Going by a report of 2015, the Department found out that its expenses had risen by 262 per cent despite the revision last made in 2001-02 and the prices remaining unchanged. Also discussed in the meeting was the India Post’s market share in the parcel market which is a minor Rs 1.5-2.0 lakh crore compared to other courier majors. India Post is already cashing in on the boom in e-commerce deliveries, especially the surging cash-on-delivery consignments of the country’s top online sellers — Amazon,Snapdeal, Flipkart and Myntra. Sinha asked the officials to come up with a strategy to beat the over priced courier companies in market in order to shoot up India Post’s shares. All of the further plans will be discussed in a second meet planned for the next month. 6. Post Offices as Common Service Centres- Branch Post Offices shall be able to work as Common Service Centres and offer services such as Railway Reservation, online bill payment for electricity and water utilities, mobile and DTH recharge, insurance policy premium payments & transactions for partner banks/insurance companies/mutual funds etc,. Ministry of finance has issued an Office Memorandum regarding Revising Promotion Option under FR 22(1) (a). As per the provisions of FR 22 (l) (a) the Government servants have the option, to be exercised within one month from the date of promotion, to have the pay fixed under this rule from the date of such promotion or from the date of next increment. Some of the employees. promoted between 01.01.2016 and 25.7.2016 had opted for their pay fixation on promotion/financial up-gradation under MACPS from the date of their next increment in the lower grade. Consequent upon notification of CCS CRP) Rules, 2016 i.e 25th July, 2016. the option submitted by such employees has now turned out to be disadvantageous. In some Department the Employees Promoted between 01-01-2016 and 25-7-2016 are allowed to exercise their Option to revise their Pay from the Date of Next increment i.e 1st July 2016. But As per the provisos to CCS (RP) Rules 2016, they should not have been allowed to give option to revise their Pay beyond their date of Promotion Since it has been stated in CCS (RP) Rules 2016 under Rule No.5. After this Clarification there is confusion among Government servants those who got Promotion between 01-01-2016 and 25-7-2016 regarding how their Pay will be fixed…? 1. What is the status of Employees promoted between 01.01.2016 and 25.7.2016 and opted to Revise their pay on Date of Next Increment i.e 1.7.2016 ? i. Would they be asked to revise their promotion option under FR 22(1)(a) ? ii. The option Exercised under the provisos to rule 5 of CCS (RP) Rules 2016 also to be revised again…? iii. If one opt to fix the pay on Date of Promotion under FR 22(1)(a) and Opt to revise the pay on date of Promotion under Revised Pay Rules 2016, how the Pay will be fixed…? Our federation will take up the issue with Department of post. 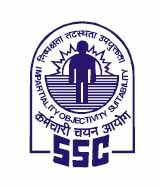 India Post Recruitment Via Staff Selection Commission (SSC) has published Advertisement for Combined Higher Secondary Level (10+2) Examination, 2016. Other details like age limit, educational qualification, selection process, application fee and how to apply are given below. Total No. of Posts : Tentatively the vacancies for the post of Postal Assistant/Sorting Assistant, LDC, DEO and Court Clerks are 3281, 1321, 506 and 26 respectively. Total number of jobs in India Post recruitment are 3281. All the best to candidates appearing for India Post PA/SA recruitment. We hope to see you soon.